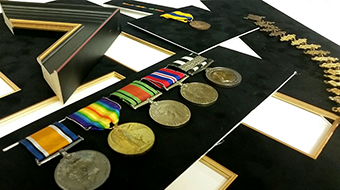 Tallantyre Gallery has a bespoke framing department that runs alongside the gallery. With such a large stock of original paintings it has long been recognised that a frame should not only enhance the art work but also reflect the home and taste of the buyer. 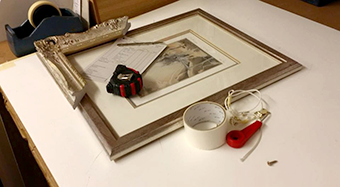 Our professional framer is onsite to service the galleries needs and also individual clients whether it is to frame a family portrait or a delicate cross-stitch. There is a large range of sample frames on display within the gallery. Only the highest quality framing products are used and we work directly with you to create your desired look whether this is a simple black or hand finished painted frame. Over the years our framing department has established a reputation for quality and keeps up with the latest news and products for conservation whether through acid free mount or museum quality glass. As this is a bespoke service we are unable to design and make your frames via our website but prefer to see, advise and quote on the premises. For more information on this please contact the framers on 01670 517214. *Unfortunately we do not undertake any restoration work for fine art pieces, prints or frames but will happily recommended alternative organisations that may help.